Katie Boardman has been singing for as long as she can remember. A native of Wisconsin, she holds a BA in Vocal Performance and French from Augustana College in Illinois, and received her Master of Music degree in Historical Performance from Boston University in 2016. She regularly performs with Genesis Chamber Singers, a versatile chamber ensemble based on Boston’s South Shore. 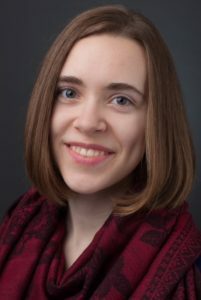 A 2016 recipient of the Early Music America Summer Scholarship, she has a passionate interest in a wide range of repertoire, from medieval to brand new. She has studied and performed both piano and organ, and loves to encourage musicianship for all ages. Recent Boston appearances include BEMF Fringe, the Boston Cecilia, and Wellesley College Collegium Musicum, as well as Boston University’s Graduate Vocal Ensemble and Baroque Chamber Ensembles.